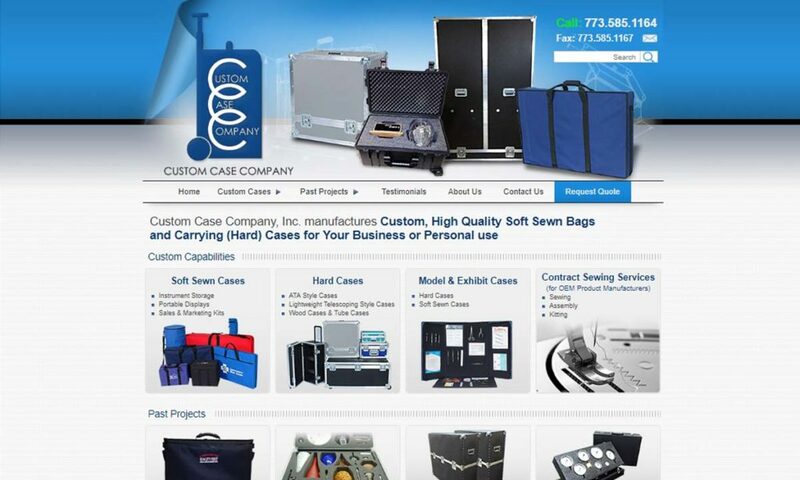 A reliable source for Custom Carrying Cases information and a resource for accessing leading Custom Carrying Cases and suppliers. Carrying cases are cases designed to provide safe storage and transportation for various kinds of sensitive equipment. Examples of such equipment include televisions, handheld tools, musical instruments, sales posters, firearms, cameras, satellites, and computers. 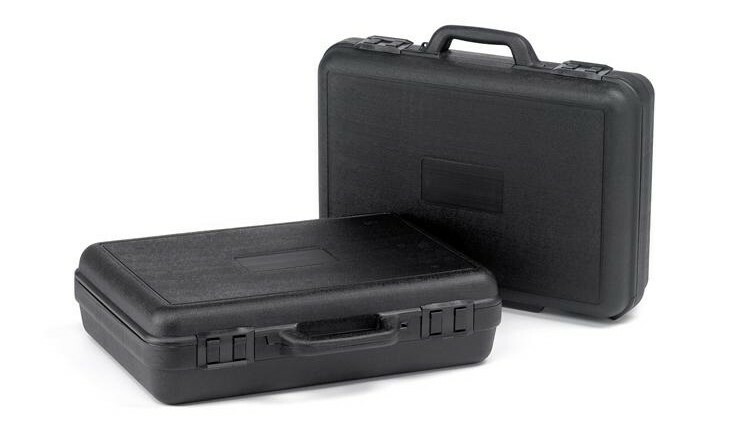 Industries such as telecommunication, medical, aerospace, digital, manufacturing, sales, music, defense, photography, and many more depend on carrying cases for their day-to-day functions. Before carrying cases gained frames and other modern-ish features, merchants simply sold them as shapeless bags with handles. They called these satchels. The term survives today, but it refers broadly to soft bookbags and purses with crossbody straps and flaps. The first person to patent a structured carrying case was a Parisian known as Godillot of Paris. His bag design, patented in 1826, featured a hinged iron frame. Known as a carpet bag, it gained popularity as luggage. During the 1850s, merchants began selling briefcases to hold business papers and act as a portable desk for the growing class of businessmen out in the world. From there, luggage manufacturers began selling steamer trunks, which were heavy, sap-waterproofed wood and iron trunks passengers used to transport personal items aboard trains and ships. As the burden of moving luggage shifted from servants to the travelers themselves, consumers became interested in lighter, easier to tote carrying cases. That’s when luggage manufacturers began selling leather carrying cases. In 1897, advertisements began referring to these cases as “suitcases.” By the late 1940s, more and more travelers were traveling by airplane, and in 1950, the Rimowa company released the first aluminum cases for aircrafts. Next, in the 1960s, manufacturers began producing wheeled trolleys so travelers could hustle through busy airport terminals and train stations. In 1972, Bernard Sadow combined luggage and trolleys into one, patenting “rolling luggage.” It was a hit and rolling suitcases became a commodity that we still use today. In 2000, the Rimowa Company once again innovated, releasing the first luggage carrying case made from polycarbonate. Carrying Cases Carrying cases are cases designed to provide safe storage and transportation for various kinds of sensitive equipment. Examples of such equipment include televisions, handheld tools, musical instruments, sales posters, firearms, cameras, satellites, and computers. Industries such as telecommunication, medical, aerospace, digital, manufacturing, sales, music, defense, photography, and many more depend on carrying cases for their day-to-day functions. New World Case provides multiple styles of carrying cases from respected case manufacturers like Platt, Hardigg, Pelican, Orbus, Nanuk, Smartpak, Ultraform, Nanuk, Zarges & Jelco. Custom-Pak produces over 10 million carrying cases per year, offering the best value combined with a huge selection of options for carrying cases, consumer product packaging & stock cases. 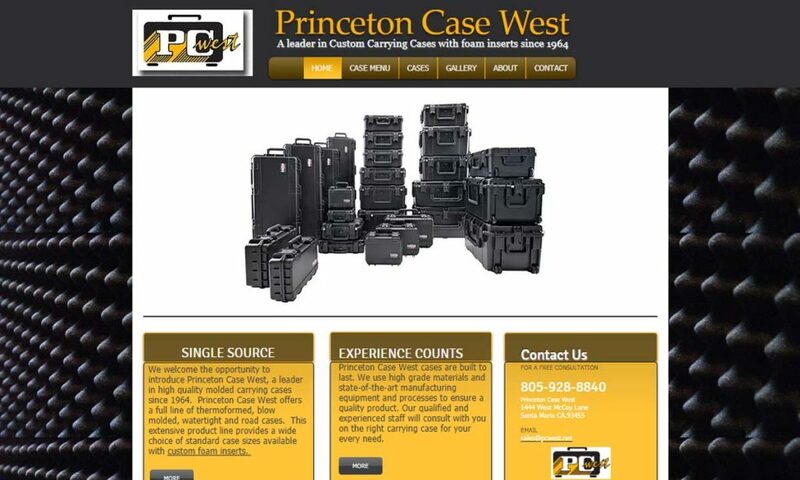 One of the top carrying case suppliers, Princeton Case West provides quality carrying cases, custom cases, shipping cases, plastic cases, aluminum cases, tool cases, computer cases, instrument cases, transit cases and ATA cases. 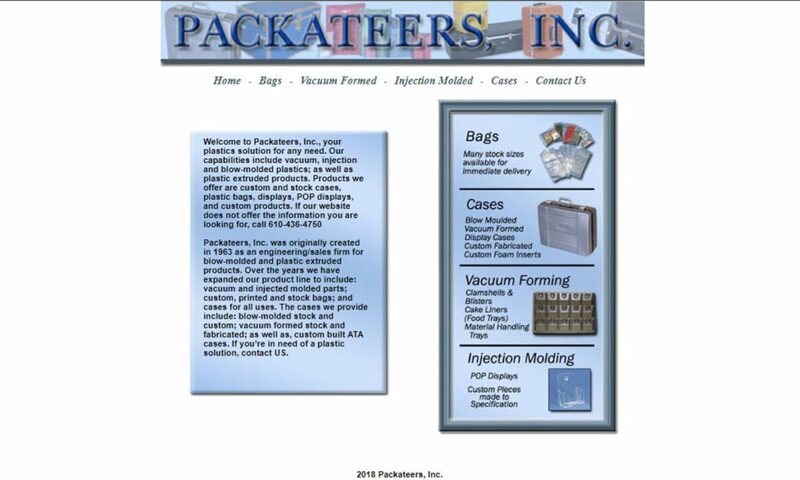 Amongst carrying case companies, Packateers, Inc. is known as tough competition due to quality-constructed carrying cases and affordable prices. Our cases come in various configurations such as soft sewn cases, hard cases, model cases, exhibit cases, and more. We are experts in contract sewing and there is no project too complex for our experts. We have nearly 30 years of experience designing and manufacturing carrying cases for fortune 100 companies such as Microsoft and Intel, while also helping countless startups launch new and innovative products as they grow their business. To make carrying cases, manufacturers start with the primary forming process, then move onto secondary processes, which involve attaching items like handles and wheels. Manufacturers have at their disposal a few different methods for fabricating carrying cases. Typically, no matter the method, they do integrate CNC technology into the production process. CNC machining allows for greater precision and tighter tolerances. Also, they eliminate the variable of human error. Generally speaking, we can divide the production processes by what type of cases they make–soft, hard plastic, or metal. If they are making a soft case (a case with soft sides), manufacturers will often opt for sewing or heat fusing the soft material. They may also treat soft material in a number of ways to make it look more like different materials (e.g. faux leather). They can do this via weaving, embossing, embroidering, laminating, screen printing, stamping, or heat sealing. In order to make the custom shipping case useful, manufacturers add pockets, zippers, hooks and loops, snaps, flaps, etc. Also, while the bag may function without any support, for more structure, manufacturers can add in metal, wooden, or plastic frames. If they’re working with PVC fabric, they can laminate the fabric to fiberboard for stiffness. If manufacturers are making a hard-plastic case, they may use a number of different processes including blow molding, rotational molding, or injection molding. Custom Carrying Case – New World Case, Inc.
Blow molding begins when manufacturers create a piece of plastic with a hole in one end. This is called a parison. They then clamp the parison into a mold, heat it and blow compressed air through the hole until it expands enough to take on the shape of the mold. After it cools and hardens, they remove the piece and finish it. Blow mold cases are a cost-effective alternative, as they provide low to medium impact resistance. Rotomolding starts when manufacturers create a parison and move it through a revolving set of molds. The system moves the parison from mold to mold, until it takes on the desired shape. This method is perfect for making complex custom cases. Rotationally molded plastic carrying cases are capable of withstanding intense levels of shock and pressure and have excellent grain flow strength. 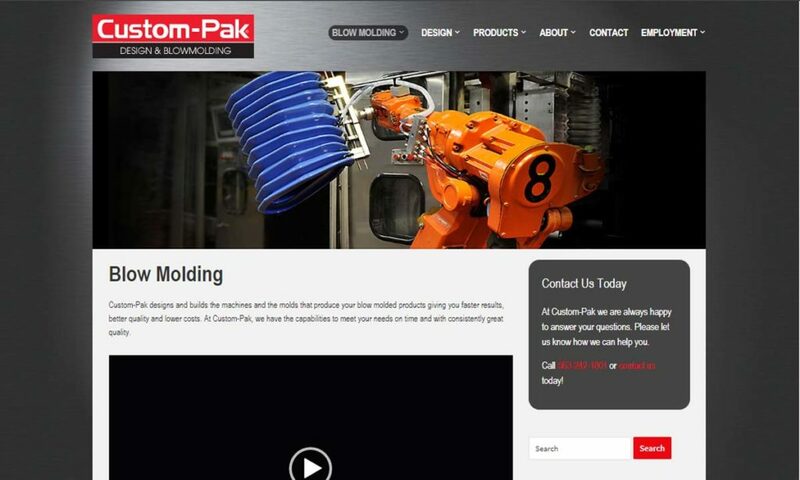 Injection molding involves manufacturers injecting molten plastic into a closed mold cavity. Inside the cavity, the system applies pressure and (sometimes) heat. This forces the molten plastic to take on the shape of the mold. Once this happens, manufacturers leave it to cool and solidify before removing it. To make metal carrying cases, manufacturers start by roll forming metal sheets and extruding a frame. The frame is usually made from steel or aluminum. They take these metal sheets, bend them into the shape they want and weld or screw them onto the metal frame. For added durability, manufacturers often reinforce the corners with metal panels. Some of the most common soft custom carry case materials include nylon, neoprene, PVC fabric, and polyester. Manufacturers can also use leather, but this material is generally reserved for high-end briefcases or luggage, as it is expensive. Common hard materials include plywood, polypropylene, ABS, aluminum, steel, acrylic, carbon fiber, fiberglass reinforced polyester (FRP), low density polyethylene (LDPE), high density polyethylene (HDPE), and hard plastics. Every type of carrying cases, except for rackmount cases, feature a foam liner for padding. For your custom needs, they can cut this padding to fit particular objects. Depending on the amount of necessary impact absorption, the foam insert may be open-cell or closed-cell. Carrying case manufacturers offer their products in a wide range of shapes, sizes, dimensions, and materials. Whether you are looking for a stock item with standard dimensions or custom case sizes, suppliers can meet your needs. They base their designs on factors like required case strength, case contents sensitivity, case contents weight, contents size and shape, required cushioning, preferred transportation style (hand carrying, rolling, toting, etc. ), aesthetic preferences, security, budget, and standard requirements. For your convenience, manufacturers can not only customize your carrying case material, lining, and dimensions, but also your carrying case hardware. They can add all sorts of accessories to enhance its function. Learn more by talking to your supplier. Hard cases are cases with rigid outer shells made from hard, robust materials, such as aluminum, plastic, or laminated plywood. Their goal is to protect the contents of the case against crushing, shock, and impact. They are also often waterproof. Soft cases are made from materials that are less rigid, such as neoprene, vinyl, suede, canvas, or leather. They are flexible and less expensive than hard cases. Depending on the needs of the consumer, soft cases come in different shapes, sizes, and colors, and may be sewn either by machine or by hand. Rotationally molded plastic cases are made to be durable and waterproof and are capable of protecting sensitive equipment from the elements. In industrial and heavy-duty settings, rotationally molded plastic carrying cases are used for shipping, transit, and to hold items such as tools. They are ideal for use in extreme environments. Plastic carry cases can also be reinforced with fiberglass, making them stiff and durable. Aluminum cases are designed to carry delicate items such as wine glasses, gaming equipment, and lab microscopes. They provide these items with the utmost impact protection and are commonly used as transit or shipping cases. Aluminum cases may be the size of standard briefcases or the size of large shipping boxes. ATA shipping cases were originally manufactured for airline shipment, but today are most commonly used for music, sound, and electronic equipment. True ATA shipping cases adhere to strict shipment regulations made by the Air Transport Alliance. Some companies use the term ATA cases more loosely, though, and offer cases that are fabricated similarly to the cases that meet ATA regulations, but do not technically meet their requirements. True ATA cases meet the traditional requirements by featuring the placement of steel ball corners, steel hinges, stress testing, and laminated handling. Aluminum and ATA cases are equipped with hinged breakaway sections and designed to permanently hold electronic equipment such as sound boards and control panels. Transit cases are carrying cases designed to transport contents when conditions are more extreme than usual, such as in military combat situations. Transit cases are highly dependable and durable because of the materials used to fabricate them. The cases may differ in strength-to-weight ratios, and the benefits of some materials may differ from others. Rackmount cases are a type of transit case designed to meet military specifications. Rackmount cases are capable of being airtight and waterproof and can be made from aluminum or ultra-durable plastic. Rackmount cases contain an inner frame that is mounted to the exterior with shocks. This frame provides more reliable shock absorption and protection than foam padding and can successfully protect the case’s contents from rugged terrain. Carrying cases offer advantages to a wide range of industries and individuals. First, they allow for efficient shipping that global shipping requires. Every business can benefit from safe and reliable shipment of their products and carrying cases have helped make this a reality. Many different types of carrying cases can be designed to be air and watertight, which provides resistance to electromagnetism and provides an adequate strength-to-weight ratio. It is not recommended to use blow molded cases for rugged, high-impact applications, but are ideal in low to medium impact transportation. To make them more functional or more fashionable, manufacturers can equip carrying cases with all sorts of accessories. Examples include locks, drawers, pockets, bins, trays, adjustable compartments, twist latches, recessed handles, spring loaded handles, shock mounts, wheels, heavy duty swivel casters, rubber gaskets, straps, stacking lugs, molded tracks, buckles, logos, labels, embroidery, zippers or beading. Your manufacturer can offer insight into how much additions and embellishments like these might cost. Depending on your industry and application, it is likely your carrying case will need to meet some standard requirements. If, for example, you plan on storing or transporting anything for military purposes, your case needs to meet all applicable military specifications (mil specs). This is the case whether you’re transporting food supplies or munitions. Often, your carrying case will need to meet ATA standards. If your case requires ATA certification, make sure that your manufacturer sells true ATA cases. Standards also apply to cases used for applications such as imports/exports, carrying medical supplies, carrying instruments, etc. Find out what standards your carrying case should meet by talking to your industry leaders. Because carrying cases are prevalent in our world, there are many companies out there that sell them. With this abundance of choice often comes confusion and uncertainty. How do you know who to choose? How do you discern between a good manufacturer and a bad manufacturer? These are all valid concerns. To give you a leg up, we’ve compiled a list of several industry-leading carrying case companies. All those listed on this page are trustworthy and experienced. We feel confident that you can find “the one” among them. To get started, put together a list of your application specifications, including your budget. Remember, with the right manufacturer, you can find affordable quality cases.  After you’ve made your list, browse the company profiles on this page. As you do so, compare and contrast their offered services with your list. Select three or four you believe hold promise, then reach out to each of them for a quote. It’s best if you are also able to have an over the phone conversation, so that you can better gauge their customer service style. After you’ve spoken with each of them, select the one you believe will best meet your needs, then get started. Good luck!